As a new year begins, I wanted to thank everyone for the emails and positive encouragement I received throughout 2017, asking when the next novel about their favorite character was coming or inquiring about the continuation of several series which I’ve penned. I honestly had high hopes for 2017 as a writer, sure that I would be able to continue the full-time career I have by day and pen my stories at night or whenever I could find a stolen moment, much as I have before. And though the year began productively, it quickly turned into a battle to make any kind of headway as a writer due to serious health concerns which recurred from the past. Late in the fall of 2017, I required an additional surgery to work through the issues my health presented, and so I pray that I will continue to heal and grow stronger, and be able to give you, my readers, the tales of love and hope that I do so love to pen. So, continue to check back here on my website from time to time, and know that as new novels are ready to be placed into your hands, I will share that news and be grateful for each new opportunity I have to spread a little hope and warmth from my heart to yours. My first announcement should come soon, as I am nearing the completion of Behind Closed Doors: The Fire. To all my readers who’ve asked for more tales to read, I’m delighted to announce the release of a short novel I penned this past spring: A Cowboy’s Dance. I had intended to release this story as part of a collection at a later date but I decided to go ahead and make it available now while I’m working on the second Behind Closed Doors novel. I know how anticipated the next installment of that series is at present. Thankfully, with the help of the talented Reese Dante, I now have the cover for both books created, so I decided to give you the cowboy story right away with the promise that Behind Closed Doors: The Fire will be in your hands late this fall. You can find the cover of Ben and Cord’s next book as well as the synopsis on my website, and as soon as I have a firm release date, that will be posted as well. Thank you again, everyone, for your patience as I work to create the stories that are near and dear to my heart. Sometimes life and health issues sideline us, but thankfully I’m back on track and eager to place these books in your hands. To all my friends in the USA: Happy Independence Day. I’m also declaring it “Independent’s Day” as I’ve put several of my books in the Smashwords Summer Sale at 25-50% off. If you haven’t read all my books and have been waiting for a little incentive to try some of them, here’s a chance to try a different genre or flavor of my work. Happy Holidays to everyone. I want to thank you all for your support this year. After recovering from a recent health issue I’m back into writing again in earnest. I hope to have several more books to release in the coming year. I’m currently well into writing the next installment of Behind Closed Doors, loving Ben and Cord more each day. I wish you all a safe and happy New Year! Or see the page for The Predatory Desires Series under BOOKS above for quick and easy links to all other e-book stores. You can also find links for the first two books in the series there as well. Two NEW Titles To Share With You! I am very excited to share two new novels with you, my readers and friends. Once again, Reese Dante has created amazing cover art. The first, Mated: Have a Little Faith, is a MM shifter novel. This story involves a true mate pair with an eager and willing Omega, Corwin, and a reluctant Alpha, Malic, who doesn’t think he’s ready for a committed relationship. Future novels in this series will focus on other characters but will also include Corwin and Malic. The second, Behind Closed Doors: The Foundation, is a MM novel about a young man, Ben, just finishing high school and ready to escape his abusive home. As he prepares to reach for his dreams he is made aware that his brother’s best friend, Cord, has been waiting for his chance to declare his love for him. Future novels in this series will continue the story of Ben and Cord. This has been an awesome week watching my fourth title of 2016 go out to readers the world over. Know that there is more to come for 2016 – Much more! In the next few weeks I’ll begin to write the 3rd book in the Predatory Desires series. As before I look forward to working with Reese Dante as she creates beautiful and exciting covers for my stories. Best wishes and happy reading to all. When the muse moves me, I write the story. Sometimes I have no idea where the stories come from, but when they beg me to tell them I do. 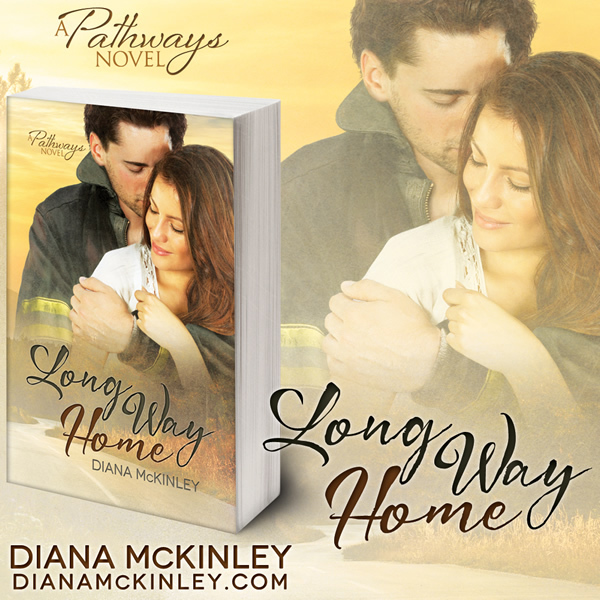 Thus, I’m happy to share with you Long Way Home the first book in my Pathways series. Come along and find out what happens when Madison takes the long way home. Click The Pathways Series under Books above for buy links.